According to the DesktopLinux.com article, Nigeria, Brazil, Argentina, and Thailand have each now ordered a million 100$ laptops for use in education. The OLPC aims to distribute – free of charge – millions of Linux-based laptop computers, complete with their own power sources, to needy children in developing countries around the world. 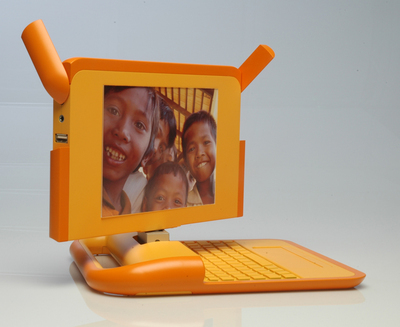 One Laptop Per Child is a very interesting project aiming to use Free Software to bridge the digital divide between industrialized and third world countries. Makes me wonder though where industrialized countries stand with this. Even if the price was doubled to subsidize third world deployments, it would still be reasonably cheap compared to printing millions of textbooks every year. Ministry of Education, are you listening? Updated 2006-08-03: Apparently the information about orders was premature. Hopefully it will still happen, though.